Why don't we just jump in the pool! Abhishek Mantri is a man whose life's mantra has been "music" for almost 20 years. 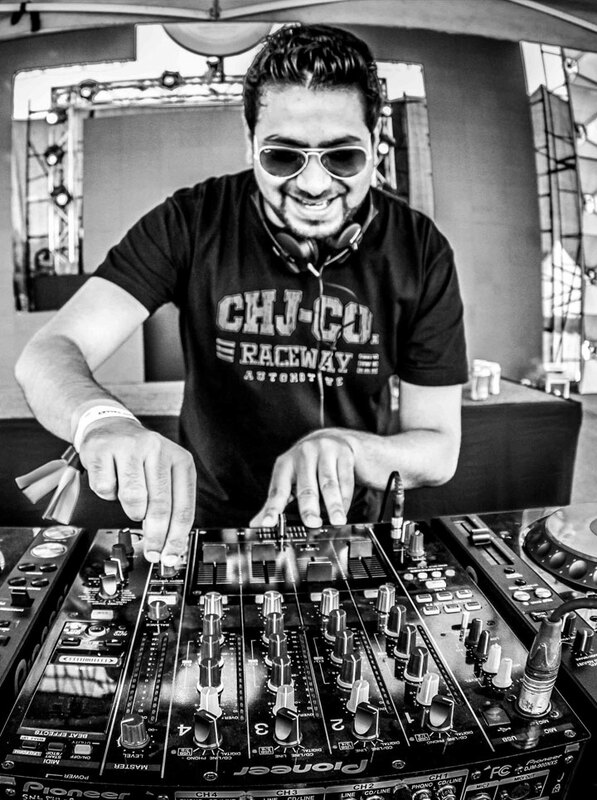 A producer, an inventor, a pure music professional, Abhishek Mantri is an EDM connoisseur; his motto- to stay on top of the Pune party scenes and EDM scenes across India and Asia. He started his career at the age of 15 and since then his style of music has evolved exponentially. This has made him one of the most prolific artists in the Indian EDM scene. His extensive experience gives him the opportunity to touch so many lives with his talent. Enlightening and exposing his listeners to new sounds in funky house, tech, deep house and other forms of EDM are his life's passion. A zealous music producer, Abhishek has been a keen teacher and guide to potential DJ's, spending hours on end creating music, spreading his tunes in high-end clubs and music festivals. His music reflects his openness to experiment with new and inspiring genres. A professional DJ for 2 decades, he has carved a solid niche for himself. The extent of his popularity can be gauged by the thousands of followers he has garnered on social media. He has consistently ranked in the top ten for genres like EDM, House, NuDisco etc. His creations on SoundCloud and Mixcloud are eagerly awaited and consumed by his music fam. He has shared the stage with renowned artists such as Akon, Chainsmokers,Micheal woods, Mark Knight, J Sean, ClauziaCazacu ,TommiPixan, Namito, Jody Wisternoff, Caroline Banxx, Guy J, CID INC, Tocandeo, Hannah Wild, Smoking circles ,Ezze ,DJ Atx to name a few. Played at many festivals such as the Enchanted Valley Carnival that featured artists like ATB , Bass Jackers, Martin garrix , Taio Cruz and many more. Played at the "The Day Off Music festival". This event featured well known artists like Richard Bedford, and many more. Played for the 1Republic festivals in 2015, 2014, 2013 & 2012 with Artists of national and international calibre. Accompanied 9 other DJs from Pune to play at “The DJ Mafia” held at Loungefly in Goa in November 2008. This national event was a month long and featured DJs from all over India. Opened the first EDM festival in Pune at „1‟ Lounge in January 2009. Played all over India, Asia and Europe at some of the most renowned clubs.